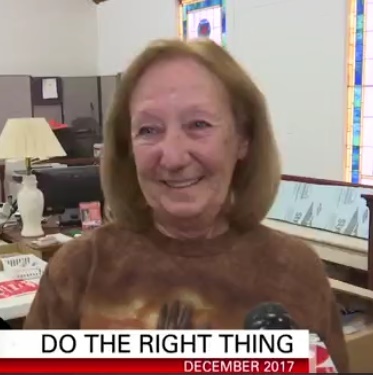 MCCM’s Sandy Webb, who manages and directs the MCCM food inventory was recently honored by WDEF News 12 and Integrity Chevrolet, as the December 2017 Honoree of their “Do the Right Thing” feature. Each month, WDEF and Integrity honor someone in the Chattanooga Area” that always goes above and beyond, who always does the right thing”. Sandy Webb and Glen Boren, who largely operate behind the scenes, pickup food from food drives anywhere in the county and food orders from local grocery stores. They unload the trucks, stock the shelves, and maintain the inventory. Whenever MCCM has a special event Sandy will usually be found helping out as well. Sandy is a Master Sergeant (Retired) in the U. S. Army. When she is not working hard for MCCM Sandy will be found volunteering for the VFW and the American Legion. In addition, she looks after her Mother-in-Law, “Nonie” Webb, whom she affectionately calls “Mom”. Thank you Sandy for all you do for MCCM and the people of Marion County. The video clip of the presentation of $500.00 can be seen on the WDEF website by clicking HERE and scrolling down to the bottom. 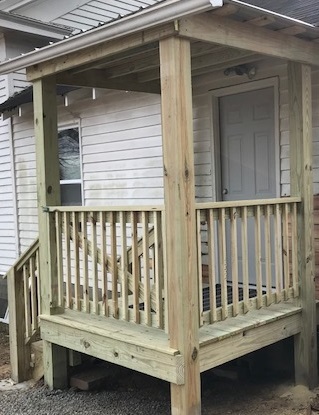 We Have A New Back Porch! The porch at our back door was beginning to deteriorate and was rapidly becoming unsafe. Volunteer Bruce Johnson proactively decided to remedy the problem. Enlisting the help of Lawrence Reams, Raymond Biscker, and James Coffelt, they removed the old porch and discovered some foundational and siding dry-rot, which they replaced. The new porch has a roof to protect from the weather volunteers loading deliveries into the building. Many thanks to Bruce and his crew for seeing a problem and taking the steps to correct it. 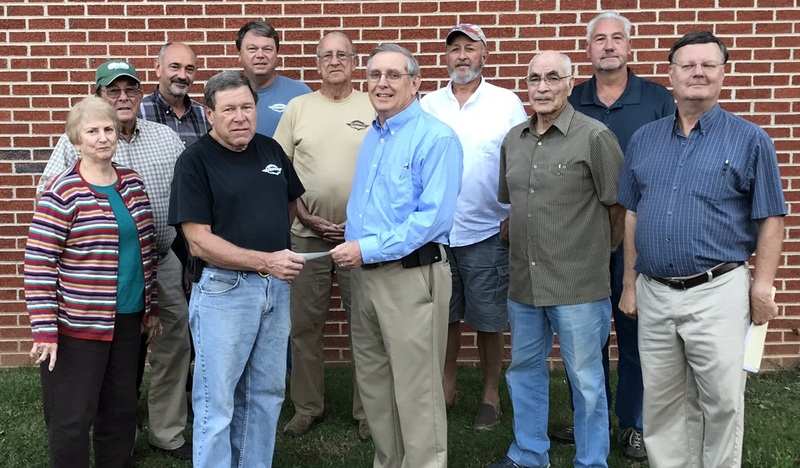 On Tuesday, October 17, 2017, David Hall, on behalf of the Marion County Cruisers car club, presented a check for $1500 to George Jackson, Treasurer of the Marion County Community Ministries Food Bank. The club has an annual Labor Day Cruise-In, the proceeds from which are used to support their community. Or just click on the image to the above.